Under a standard form Contract of Sale, the buyer’s risk of the property passes to the Purchaser from the time the Contract is entered into. What this means for the buyer is that they need to take out insurance on the property immediately to protect their new investment. Often I will have clients ask me if it is necessary to take insurance out straight away and whether they can wait until the cooling off period has ended. My answer to this question is always, yes! The reason for this is because the entire risk of the property is borne by the Purchaser from the time the contract is signed, therefore even if a small accident or damage was to occur to the property, the buyer may still wish to proceed with the purchase. A perfect example of this would be where a tree falls on a fence during a storm. If this was to occur during the cooling off period, being the two business days after the contract is entered into, then there would be some amount of damage, albeit large or small, to the fence. Would the buyer want to cool off on the purchase just because there is some damage to the fence now? Most probably, the buyer would still be just as in love with their new house and want to proceed, but now they have an unexpected cost to fix the fence. Had they taken insurance out on the property, the damage would be covered and could even be fixed prior to settlement. It should be specifically noted here that the Vendor must take all reasonable steps to maintain the property at the state that it is in at the time of entering into the contract, excluding fair wear and tear and that they are contractually bound to do so. Should concerns about damage to the property arise after settlement, the Purchaser would have a contractual and common law right to seek compensation from the Vendor. So should the Vendor then keep paying for their insurance? When acting for Vendors, it is always our advice that the Vendor should also maintain their current levels of insurance on the property. Even though the risk does pass the the buyer, if the buyer is negligible in commencing an insurance policy, the property would then be left uninsured. Yes the purchaser would still be liable under the terms of the contract, but their liability would extend only to their ability to be personally cover those losses. Furthermore, it is likely that this circumstance would result in lengthy court proceedings to determine the outcome, often best left to the insurance company to handle, rather than placing extra burden and stress on the parties themselves. Now, it would seem that the insurance companies are getting the best deal here, as many properties will now be insured by two companies. Yes that is true, but we all know the saying “it is better to be over insured than under insured”. 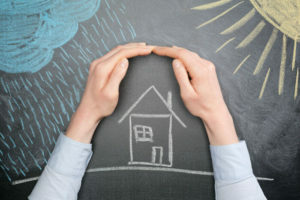 When should the Vendor cancel their insurance? Our advice is always to wait until your conveyancer personally advises that settlement has taken place. On the rare occasion that settlement is delayed due to unforeseen circumstances, it is imperative that the property still remains insured. Whilst many people like to be organised and have all of their ducks in a row as settlement approaches, it is always best to leave cancelling the insurance to the very last minute.